Happy Start to the New Revolution! By which I mean, of course, around the sun. We made it the whole way ’round again! Happy New Year, everyone! I never did get around to posting Christmas greetings, but I hope the end of December was a good one for you. I was busy with family, including my brother and his wife visiting from Florida. A fine time had by all. As I think back on 2013, I’m amazed we had time to experience everything that happened. We moved Allysen’s mom Fay to our area from Puerto Rico, which was the longest and hardest logistical (and emotional) undertaking I’ve ever been involved in. (Including the saga of the seven puppies, three of which came north with us and found great homes.) Fay ‘s pretty well settled in now at her new place. But not without her dog Diego getting heartworm, and she herself breaking an arm. Fortunately, as I’ve probably said before, we eat problems for breakfast here. Then, of course, there was Lexi getting hit by a car on her bike, which laid her up for months. But then she got a new job, and that’s been exciting. Allysen tried to outdo her by getting rear-ended in our Ford Fusion, because she emergency-stopped to keep an 18-wheeler from killing her. That led to the car being totaled, so we went car shopping last week. And, of course, I finished the first draft of The Reefs of Time, right before Christmas! That’s the Reduced Shakespeare Company rendition of our 2013. How was yours? 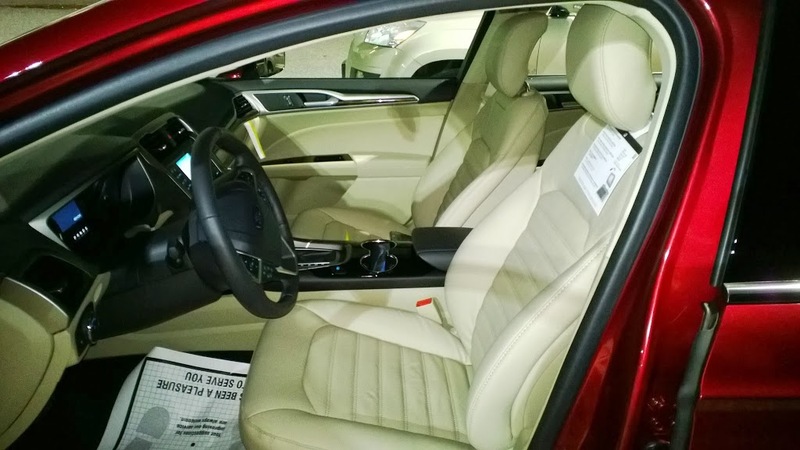 Here is the car we’ve bought and hope to pick up, after the big winter Nor’easter that’s bearing down on us as we speak. 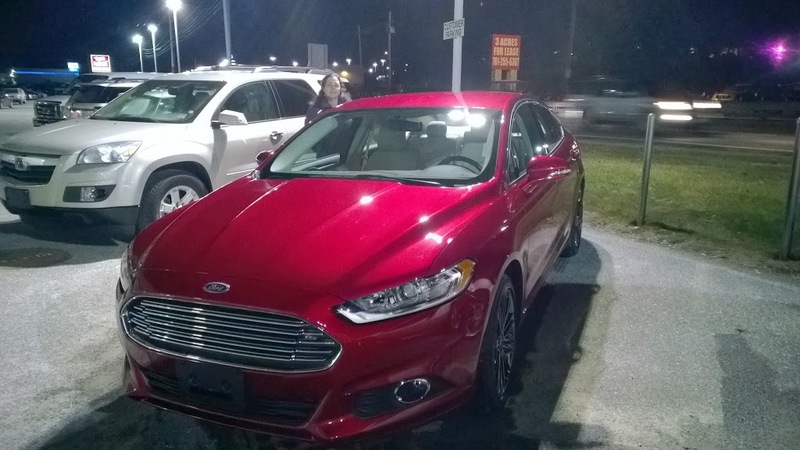 It’s a 2014 Ford Fusion, in a beautiful ruby red finish. We’re thinking of calling it Katniss, after the girl of fire, from The Hunger Games. Maybe later I’ll post my thoughts about books and movies from the last year. If you can't have ruby slippers, that looks like a great way to get home! Happy New 'Un to All! It seems you had a busy year. I hope this one is a good one for you and your family. Hunker down and stay warm until the Nor'easter is over. I don't work directly for Ford. I'm an engineer for a Ford supplier. We make the transmission gears for nearly every Ford vehicle, including your new Fusion. 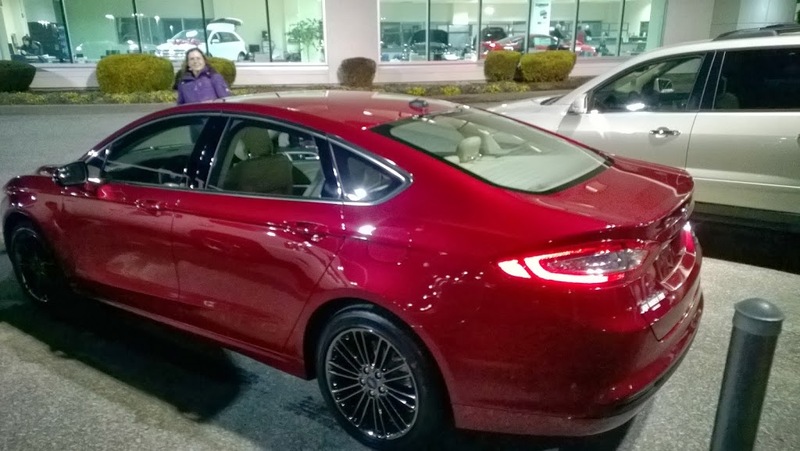 The transmission in your Fusion is assembled at the Ford Sharonville plant near Cincinnati. Earlier in my career I worked for another company making parts for Ford braking systems. There's more than a little of my shop experiences in what I write too. I don't see how it would be possible to not do that. What kind of jobs did you do during those summers working for Ford? One year I put parking lights on the grilles of Econolines. Another year, I was a QC inspector on the other side of the plant, assembling Ford Torinos and Mercury Montegos. I wasn't too well trained for the job (checking brake systems), which is why I noted that the "quality is job one" mentality had not yet taken hold. This was, I think, the summer of 1970. Man, did I hate that job.